While big changes might make some drivers nervous, we think this year’s updates provide many more reasons to get excited. Take a closer look at the 2019 Toyota RAV4 reviews to learn more! Autotrader recommends the RAV4 XLE trim level, but the experts “don’t think you can go wrong” if you decide to opt for this crossover. What Are the Toyota RAV4 Consumer Reviews Saying? We could spend all day telling you about the RAV4 reviews we’ve received from our friends and neighbors, but we think this crossover’s incredible sales numbers speak for themselves. The experts at Cars.com have reported that more than 400,000 RAV4 models were sold in the last year alone! 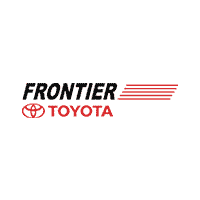 If you’d like to find out what other 2019 Toyota RAV4 customer reviews are saying, don’t hesitate to reach out to an expert at Frontier Toyota. We’ll give you all of the info you’ll need, and if you’re ready to judge for yourself, we can even set you up with a test drive! Find a New Toyota RAV4 for Sale at Frontier Toyota! The 2019 Toyota RAV4 is available now at Frontier Toyota in Valencia, and there’s never been a better time to get behind the wheel. Check out our new Toyota RAV4 lease deals today, or take a moment to browse our new Toyota RAV4 inventory. No matter which option you settle on, we can’t wait to see you driving off to your favorite golf courses in Van Nuys. What’s the Warranty on a Toyota Battery? What are the 2018 Toyota RAV4 Colors?